‘An extraordinarily beautiful voice,’ Königin der Nacht: Der neue Merker. ‘Her voice had beauty and clarity,’ Violetta Valéry: Bachtrack. ‘Apparently effortless singing … World class!’, Carmina Burana: Der neue Merker. Multi-award-winning singer Mari Moriya is one of today’s leading sopranos in Europe as well as Asia and the US. Her “beautiful voice … and clean and precise coloraturas” (Der neue Merker) are but two of her notable assets in the dramatic coloratura as well as lirico-spinto repertoire, which encompasses bel canto heroines Norma and Maria Stuarda as well as Puccini’s Butterfly. In previous seasons, Mari Moriya made important role debuts as Marschallin in Der Rosenkavalier under the baton of Sebastian Weigle and direction of Richard Jones, and Cio-Cio San in Madama Butterfly with Tokyo Nikikai Opera Theatre (2017-18). Freia in Das Rheingold (2016-2017) and Sieglinde in die Walküre (2017-2018) with Michael Hampe with Biwako Hall and Drusilla and Fortuna in L’incoronazione di Poppea with the Bach Collegium Japan (2017-2018). In 2016-17 she made her successful debut as Leonora in Il Trovatore with Mikawa City Opera, Konstanze in Die Entführung aus dem Serail at the Nissay Theatre in Tokyo, Donna Anna in Don Giovanni at Suntory Hall. 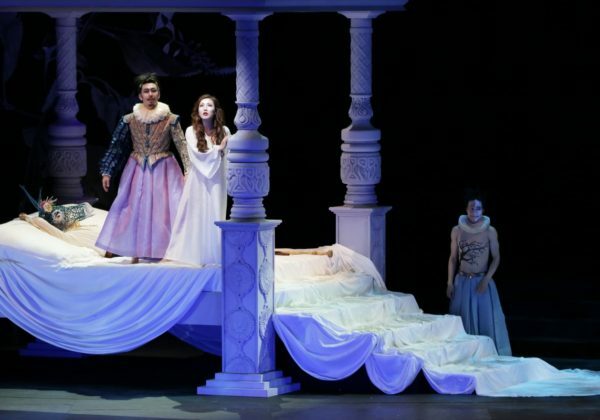 In 2015-16 she appeared as Pamina in Die Zauberflöte at the Aichi Triennale in Nagoya City. 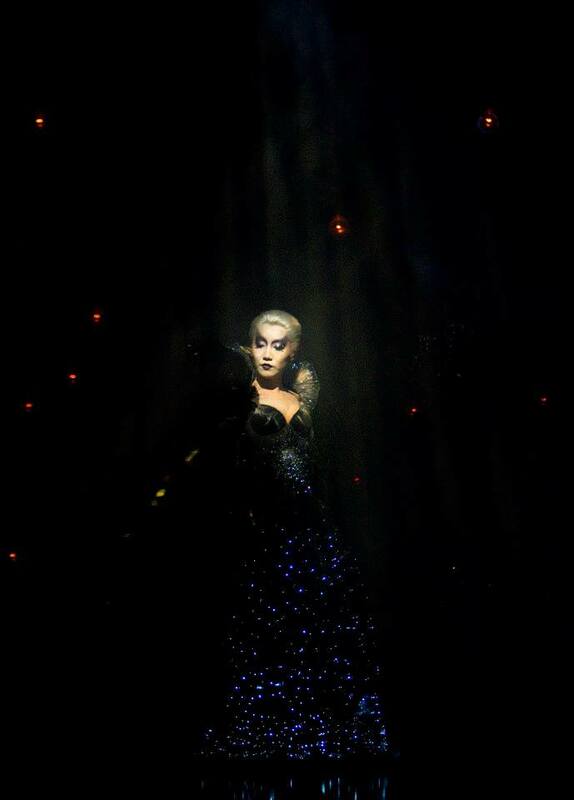 And she brought her Queen of the Night back to Oper Leipzig, where she first sang it in 2009-10, and then reprised the role one last time at the Theater Basel. She debuted as Violetta in Robert Wilson’s new production of La Traviata at the Landestheater Linz, where she also created the role of Lara/Chang’e in Moritz Eggert’s Terra Nova and sang Micaëla in Carmen at the Stadttheater Klagenfurt, Tytania in A Midsummer Night’s Dream at the Hyogo Performing Arts Center in Nishinomiya and Queen Tye in Philip Glass’ Akhnaten at Opera Vlaanderen. 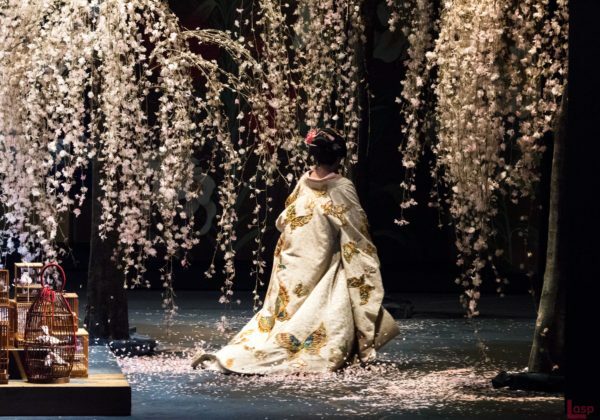 The 2019-2020 opera season will feature her role debut as Salome in Salome with Tokyo Nikikai Opera Theatre, where she will appear again as Cio-Cio San in Madama Butterfly, as Konstanze in Die Entführung aus dem Serail with BCJ, as Elena, in La donna del lago at Fujisawa City Opera and Gutrune in Götterdämmerung with Biwako Hall. In 2018-2019 sees her return to Opera Vlaanderen as Miss Schlesen in Philip Glass’s Satyagraha, She also appears as soprano solo in the Verdi Requiem with Tokyo Symphony Orchestra, as first soprano in the Mahler Symphony No.8 with Tokyo Juventus Philharmonic, soprano solo in the Mahler Symphony No.2 with New Japan Philharmonic and soprano solo in Messiah with BCJ. In 2017-2018 she appeared as Pamina in Die Zauberflöte with Nissan Theatre, as Mademoiselle Silberklang in der Schauspieldirektor, again with BCJ and as soprano solo in the Verdi Requiem at the International Jan Kiepura Festival with Sinfonia Cracovia. In 2006 Mari Moriya made her debut at the Metropolitan Opera New York as Queen of the Night under the baton of James Levine. Since then, she performed this role numerous times with leading opera companies in the United StatesEurope and Europe, including Palm Beach Opera (2006), Pittsburgh Opera (2007), Portland Opera (2007), Glyndebourne Touring Opera (2008), Oper Leipzig (2009-10/2016), Baltimore Opera (2010), Seattle Opera (2011), Scottish Opera (2012), Volksoper Wien (2012-13), Landestheater Linz under the baton of Franz Welser-Möst (2013-14) and Theater Basel (2015-16). Other career highlights include Konstanze in Die Entführung aus dem Serail and Lucia di Lammermoor, both with the Israel Vocal Arts Institute in Tel-Aviv, Amina (cover) in La Sonnambula with Opera Orchestra of New York, Linda di Chamonix (cover) at the Caramoor Festival, Juliette in Roméo et Juliette with Center City Opera Philadelphia, and Adina in L’elisir d’amore with Tulsa Opera. Concert performances include soprano solo in the Verdi and Mozart Requiems, Mahler’s Symphony No.2, No. 4 and No.8, Dvorak’s Te Deum, Beethoven’s Symphony No. 9 and Carmina Burana; also the Chants d’Auvergne Series 1 and Bachianas brasileiras No. 5. Her recent performance of Beethoven’s Symphony No. 9 was in March this year in the Musikverein. 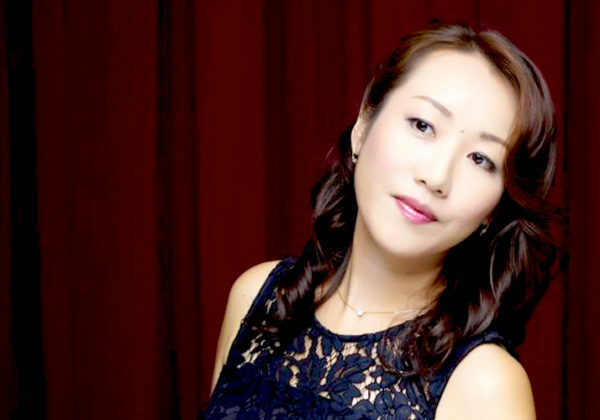 Mari Moriya was born in Oyama, Japan, and studied at the Musashino Academy of Music in Tokyo (Master of Music) and at the Mannes College of Music in New York (Professional Studies Diploma). She was a Grand Finalist at the Metropolitan Opera National Council Auditions in 2005 and won awards in major international singing competitions such as Cardiff Singer of the World (Concert Prize – 2007) and Belvedere Singing Competition (Hans Gabor Sonderpreis – 2008). She is currently under the tutelage of Carol Byers in Vienna.